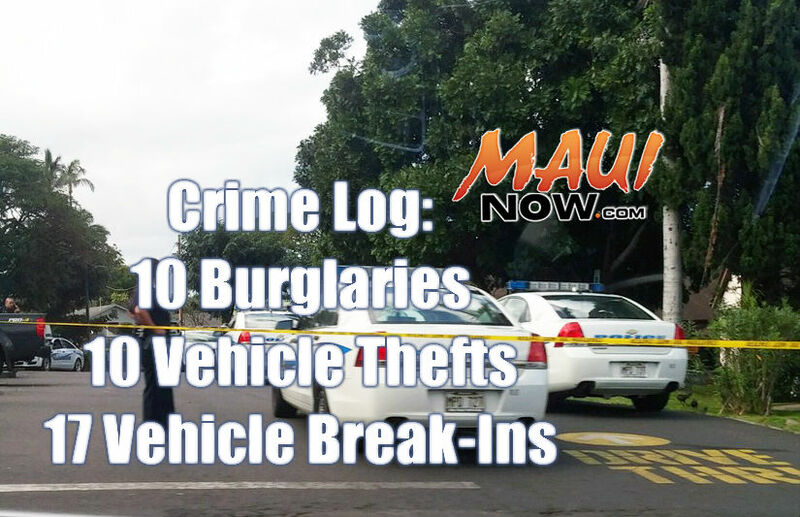 Maui police responded to 23 burglaries, 25 vehicle break-ins and nine vehicle thefts in Maui County over the seven-day period between Sunday, June 21, and Saturday, June 27, 2015. The number of burglaries is six more than reported the previous week. The number of vehicle break-ins this week is one more than reported the previous week. The number of vehicle thefts is two more than reported last week. Sunday, June 21, 11:21 a.m.: Hahana Road, Haʻikū. Burglary non-residential, forced entry. Sunday, June 21, 4:06 p.m.: Baldwin Avenue, Pāʻia. Burglary non-residential, unlawful entry. Monday, June 22, 6:31 a.m.: Waiale Road/East Waiko Road, Waikapū. Burglary non-residential, unlawful entry. Monday, June 22, 7:27 a.m.: Front Street, Lahaina. Burglary non-residential, forced entry. Monday, June 22, 9:04 a.m.: Kolohala Drive, Kula. Burglary residential, unlawful entry. Monday, June 22, 9:16 a.m.: Kā‘anapali Parkway, Kā‘anapali. Burglary residential, unlawful entry. Monday, June 22, 10:07 a.m.: North Market Street, Wailuku. Burglary non-residential, forced entry. Monday, June 22, 9:04 a.m.: Huku Li‘i Place, Kīhei. Burglary non-residential, forced entry. 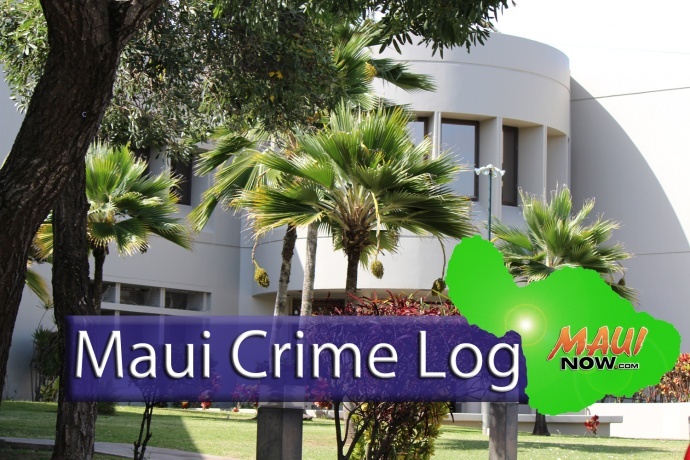 Tuesday, June 23, 12:54 a.m.: Kealohilani Street, Kahului, Burglary residential, forced entry. Tuesday, June 23, 6:40 p.m.: Nenelea Street, Hali‘imaile. Burglary residential, unlawful entry. Wednesday, June 24, 3:37 a.m.: Nakoa Drive, Wailuku. Burglary residential, unlawful entry. Wednesday, June 24, 4:06 p.m.: Oki Place,Waihe‘e. Burglary residential, forced entry. Thursday, June 25, 1:39 p.m.: Aiai Street, Kahului. Burglary residential, unlawful entry. Thursday, June 25, 3:39 p.m.: Pohu Street, Waiehu. Burglary residential, forced entry. Thursday, June 25, 5:57 p.m.: Ha‘awina Street, Pāʻia. Burglary residential, unlawful entry. Thursday, June 25, 8:16 p.m.: Ha‘awina Street, Pāʻia. Burglary residential, unlawful entry. Thursday, June 25, 5:09 p.m.: Kapuai Road, Haʻikū. Burglary residential, unlawful entry. Friday, June 26, 7:21 a.m.: Makawao Avenue, Makawao. Burglary non-residential, attempted burglary. Friday, June 26, 8:32 a.m.: Lower Main Street, Wailuku. Burglary non-residential, attempted burglary. Friday, June 26, 9:23 a.m.: Ho‘okele Street, Kahului, Kahului Auto Sales. Burglary non-residential, forced entry. Saturday, June 26, 6:19 a.m.: Baldwin Avenue, Makawao. Burglary non-residential, forced entry. Saturday, June 26, 11:45 a.m.: South Kīhei Road, Kīhei. Burglary residential, unlawful entry. 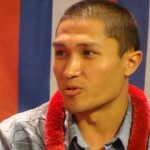 Sunday, June 21, 10:12 a.m.: Pio Place, Wailuku. Red 2004 Ford Explorer. Unauthorized entry motor vehicle. Sunday, June 21, 12:59 p.m.: Alawai Road, Pāʻia. White 2004 Honda Accord. Unauthorized entry motor vehicle and theft. Sunday, June 21, 10:17 p.m.: South Kīhei Road, Kīhei. Silver 2014 Dodge Charger. Unauthorized entry motor vehicle. Sunday, June 21, 10:29 a.m.: Olowalu Village Road, Lahaina. White 2001 Ford Ranger. Unauthorized entry motor vehicle. Sunday, June 21, 11:27 a.m.: Kaiola Street, Kīhei. White 1999 Toyota Tacoma. Unauthorized entry motor vehicle. Sunday, June 21, 7:48 a.m.: Honoapi‘ilani Highway, Lahaina. Red 2004 Ford Ranger. Unauthorized entry motor vehicle and theft. Monday, June 22, 9:49 a.m.: Molokai Hema Street/West Papa Avenue, Kahului. White 2007 Ford F250. Unauthorized entry motor vehicle and theft. Monday, June 22, 12:50 p.m.: Hāna Highway, Pāʻia. White/cream 2014 Lincoln MKX. Unauthorized entry motor vehicle. Monday, June 22, 11:31 a.m.: Maui Lani Parkway, Wailuku. Gold 1998 Toyota Corolla. Unauthorized entry motor vehicle and theft. Monday, June 22, 7:22 p.m.: Mākena Road, Wailea. Black 2015 Dodge Caravan. Unauthorized entry motor vehicle. Wednesday, June 24, 6:25 p.m.: Hāna Highway, Pāʻia. Gray 2014 Dodge Charger. Unauthorized entry motor vehicle and theft. Wednesday, June 24, 2:06 p.m.: South Kīhei Road, Kīhei. Black 2013 Dodge Charger. Unauthorized entry motor vehicle and theft. Thursday, June 25, 5:14 a.m.: West Welakahao Road, Kīhei. Black 2007 Ford Focus. Unauthorized entry motor vehicle and theft. Thursday, June 25, 3:08 p.m.: Kā‘anapali Parkway, Kā‘anapali. Black 2014 Dodge Charger. Unauthorized entry motor vehicle and theft. Thursday, June 25, 1:19 p.m.: Haleakalā Highway, Kahului. Black 2014 Dodge Charger. Unauthorized entry motor vehicle and theft. Thursday, June 25, 4:32 p.m.: Dickenson Street/Waine‘e Street, Lahaina. Gray 2014 Dodge Charger. Unauthorized entry motor vehicle and theft. Thursday, June 25, 12:49 p.m.: Kā‘anapali Shores Place, Kā‘anapali. Gray 2013 Dodge Charger. Unauthorized entry motor vehicle and theft. Saturday, June 26, 4:25 p.m.: Mākena Road, Wailea. Gray 2014 Dodge Charger,. Unauthorized entry motor vehicle and theft. Saturday, June 26, 1:46 p.m.: Pa‘ani Place, Spreckelsville. Gold 2004 Lexus RX3. Unauthorized entry motor vehicle and theft. Saturday, June 26, 1:30 p.m.: Puna Road, Pāʻia. White 2005 Ford Econoline E350. Unauthorized entry motor vehicle. Saturday, June 26, 4:52 p.m.: Dairy Road, Kahului. Blue 2008 Nissan Rogue. Unauthorized entry motor vehicle and theft. Saturday, June 26, 3:25 a.m.: Nonohe Place, Spreckelsville. Black 1999 Dodge Ram 1500. Unauthorized entry motor vehicle and theft. Saturday, June 26, 11:24 a.m.: Haʻikū Road, Haʻikū. Black 2007 Ford Freestyle van. Unauthorized entry motor vehicle. Saturday, June 26, 2:14 p.m.: Pa‘ani Place, Spreckelsville. Black 2001 Volkswagen Golf. Unauthorized entry motor vehicle and theft. Saturday, June 26, 5:51 p.m.: East Welakahao Road, Kīhei. White 2000 Toyota Tacoma. Unauthorized entry motor vehicle and theft. Sunday, June 21, 5:34 p.m.: Pakaula Street, Kahului. Gold 1995 Honda Accord, license # GDA307. Sunday, June 21, 10:37 a.m.: Mala Wharf Road, Lahaina. White/black sailboat. Sunday, June 21, 11:28 p.m.: West Kamehameha Avenue, Kahului. Gold 2005 Ford Ranger, license # MKV862. Thursday, June 25, 9:42 p.m.: Baldwin Avenue, Pāʻia. Black 2014 Guangyu moped, license # M82789. Thursday, June 25, 5:10 p.m.: Hukilike Street, Kahului. Red 1992 Ford F150, license # MYF253. Friday, June 26, 8:39 a.m.: Ulalena Loop, Haʻikū. White 1998 Nissan Altima, license # LEZ700. Friday, June 26, 5:41 p.m.: Koapaka Lane, Waiehu. Red and black motorcycle. Saturday, June 26, 11:18 a.m.: Naniluna Place, Wailuku. Black and yellow Taotao moped. Saturday, June 26, 10:46 a.m.: Hāna Highway, Haʻikū. Blue 1989 Toyota Camry, license # MTW838.